My birthday is coming up in two weeks. I cannot remember a time when I didn't dislike my birthday being two days before Christmas. 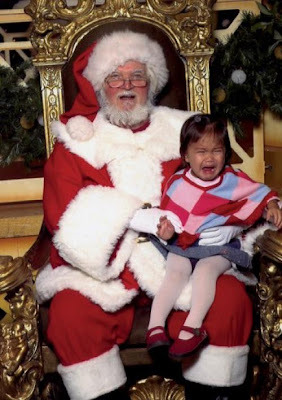 Growing up, everyone gave me one gift for both my birthday and Christmas and to make it worse, it was always Christmas themed. My room was filled with Christmas reindeer, Christmas bears, Christmas elves...I know I should have been grateful for all gifts, but that really killed me. Last year, Mr. Fantastic bought me a terrific pair of shoes as a joint gift. I was so upset, because I know at the bottom of my heart that he simply would never have done that if my birthday was in May. Who would give someone a birthday present in May and say it's both their birthday and Christmas gift no matter the size? The kicker is that if he had given me a token gift for one and then the shoes for the other, I would have been over the moon. This year, I've compiled a list for all other people out there who have the misfortune of having their birthday around any gift-giving holiday. It's my Splurge vs. Steal Guide to Birthday Gifts. 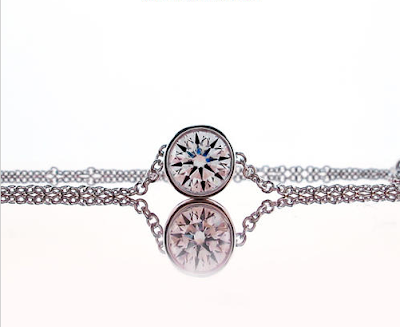 You can't go wrong with jewelry. Be it a trendy trinket or an investment piece, jewelry is one of those things that women can never have enough of. 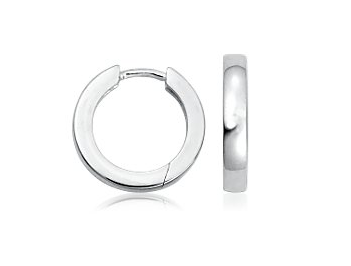 For my Steal, I would choose something in sterling silver like these casual hoop earrings from Blue Nile. They are $51 and I could see myself wearing these very frequently. I am allergic to white gold (not yellow, only white) regardless of karat weight, so I love sterling silver for white metal jewelry. Plus, the style and size are both very classic and would stand the test of time. For my Splurge, I would love to receive this slider solitaire pendant in platinum from Brian Gavin Diamonds. The setting alone is nearly $500 so it definitely falls under the Splurge category. Although a classic solitaire is also a worthy investment piece of any jewelry wardrobe and it's been on my list of wants for months. I love gloves in cold weather and I like to have them in different colors or at least both black and brown depending on what I am wearing. That is why these cashmere gloves from Nordstrom are a perfect way to add color to any outfit. I think $34 is still a bit pricey for gloves, but these are cashmere and come in great colors. For the record, I typically grab a pair from Marshall's or TJ Maxx because I can usually find great pairs for under $20. I still want these girly ones that Mr. Fantastic thinks might be a bit "fragile." 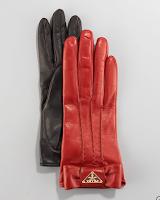 My splurge would be these amazing Prada gloves that Bergdorf Goodman is selling. As I typically lose one, if not both gloves of each pair, I can't in good conscience expect to receive such an extravagant pair. I do love the bow and the red color. 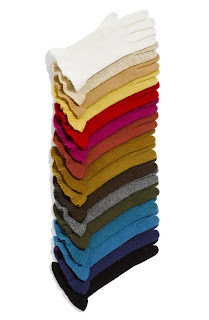 And I just know that these would keep me warm all winter long, if I could hold on to them! 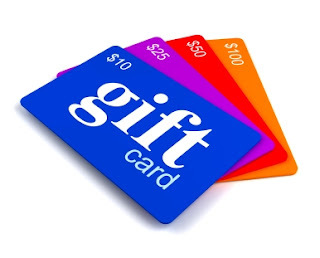 I love gift cards and you can buy them in all denominations. For the steal, I recommend $10 iTunes, $5 or $10 Starbucks or even $20 Movie Theater gift card. Almost everyone I know has an iPod, iPhone or iPad, so an iTunes gc is a great way for them to buy apps, music or books. There are very few non-coffee drinkers in my social group and almost everyone would go to the movies if the trip was subsidized in any way. For the splurge, I would recommend, a higher denomination card or cards to more "posh" establishments. I know I love to shop the "after-Christmas" sales and I love having gift cards to feel like I am getting an even greater discount. $25-50 at Victoria's Secret goes a long way! So does $50-100 at Nordstrom (which can be used at Nordstrom Rack, too!) or Neiman Marcus/Saks/Barneys or any other store. Better yet, buy a Visa/Mastercard or American Express gift card that can be used anywhere! So buy your Christmas Baby a diamond pendant for her birthday and give her a $10 iTunes card for Christmas, or buy her the Prada gloves for Christmas and the silver hoop earrings for her birthday, but don't buy her one gift and say "Happy Birthday! and Merry Christmas!" because we've gotten that our whole lives and it just stinks!